Creatine Uptake, Bioavailability, and Efficacy & We’ve Gotten it all Wrong and Low Serum Creatine Levels are Better!? It has been a while since I’ve discussed the bioavailability of different forms of creatine. On various supplement sites, the notion that there was one form of creatine that was significantly more bioavailable and would thus allow you to ‘load’ muscle phosphocreatine (PCr) faster and more efficiently is obviously still a matter of constant debate… a debate of which the latest study by Ralf Jäger et al. (2016) indicates that it may argue based on a fundamentally flawed premise, i.e. that higher serum levels of creatine after the ingestion of a given product would signify an increased efficacy in terms of performance / strength / size gains. How come? Well, the previously mentioned, as of yet unpublished data from a study by Ralf Jäger, Martin Purpura, and Roger C Harris did not just confirm the results of previous studies, which indicate that glucose (75g) and alpha lipoic acid (ALA | 200mg) will increase the bioavailability of creatine, i.e. “the proportion of a drug or other substance [in this case creatine] that enters the circulation when introduced into the body” (Merriam-Webster.com), it also indicates that the practically relevant predictor of creatine’s efficacy is – assuming equal dosing and complete absorption – not a high, but rather a low level of creatine in the blood. without the former bioavailability enhancers. on only six subjects. These three men and three women (35.5+/-14.5 yrs, 172.5+/-12.2 cm, 75.3+/-9.0 kg), who were all healthy, normal-weight and non-vegetarian and thus not, with creatine being a deficiency nutrient in vegetarians, extraordinarily susceptible to creatine supplementation (Burke. 2003), participated in two testing sessions during which they received the previously explained two treatments (the powdered supplements were simply dissolved in 450 ml of water). 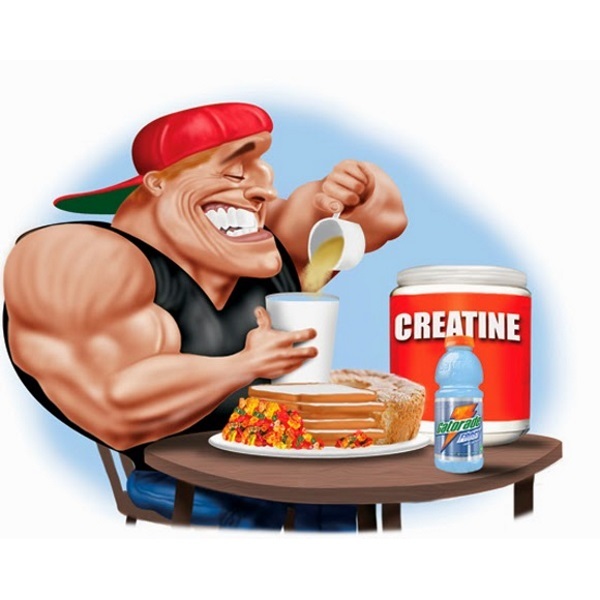 Adding carbohydrates or cinnamon to creatine may well increase its uptake to the muscle. What it does not do, however, is to enhance creatine’s efficacy – at least not in a 2015 3-week creatine loading study Islam et al. conducted in 25 recreational gymrats. What’s the increased absorption worth? If we rely on a a recent study by Islam, et al. (2015) the answer is (unfortunately) nothing. In their 2015 study, the scientists from the Wilfrid Laurier University and the University of Lethbridge in Canada found no (=zero) significant differences in anaerobic power, strength, and endurance when creatine was administered solo, with the same 70 g carbohydrate (CHO) that were used in Jäger et al. (2016), or 500 mg cinnamon extract (CIN), of which the authors believed that its proven ability to improve insulin sensitivity and up-regulate glucose transport in skeletal muscle would likewise enhance the uptake of creatine in the muscle and thus make it more effective. 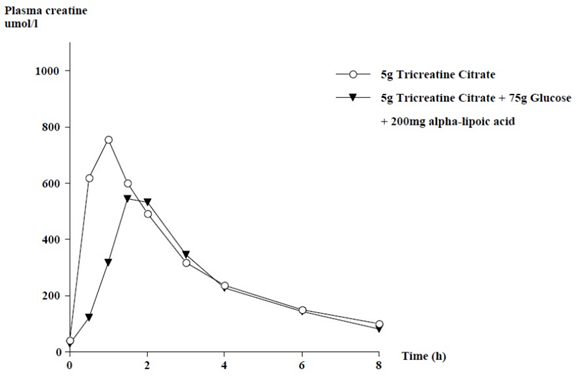 Figure 1: Mean plasma creatine concentration over 8 hours following ingestion of 5g tricreatine citrate (TCrC) and 5g tricreatine citrate + 75g glucose + 200mg alpha-lipoic acid (TCrC+Glu+ALA | Jäger. 2016). And these data present a quite intriguing result. More specifically, they indicate that the increase in peak concentration and the area under the curve (indicative of the total amount of creatine that appeared in the blood of the subjects) were significantly lower in the TCrC+Glu+ALA group in comparison to TCrC (75.3%, p<0.05, and 82.2% respectively). Less creatine in the blood with sugar + ALA? That’s bad, right? No that’s good! Just as the likewise lower 0.5 and 1h plasma concentrations of creatine, in the TCrC+Glu+ALA group (in comparison to TCrC), these reductions do not indicate a reduced efficacy of the supplement. On the contrary! The significantly elevated mean 8h urinary creatine elimination in the control group (TCrC | 26.5 ± 13.9% of the dose administered vs. 17.2 ± 13.0% for TCrC+Glu+Ala) rather indicates that the addition of glucose and ALA “enhanced rate of creatine uptake into the muscle” – as previous studies indicate probably due to the presence of raised insulin (by glucose) and / or an increased insulin sensitivity (by ALA / Koszalka. 1972; Steenge. 1998; Pittas. 2010). Why’s this study relevant? Well, the answer should be obvious. The few allegedly ‘advanced creatine products’ on the market that actually have scientific back-up of their efficacy often refer to studies showing increases in plasma creatine of which the study at hand shows that they are no valid predictor of the actual efficacy of the supplement. 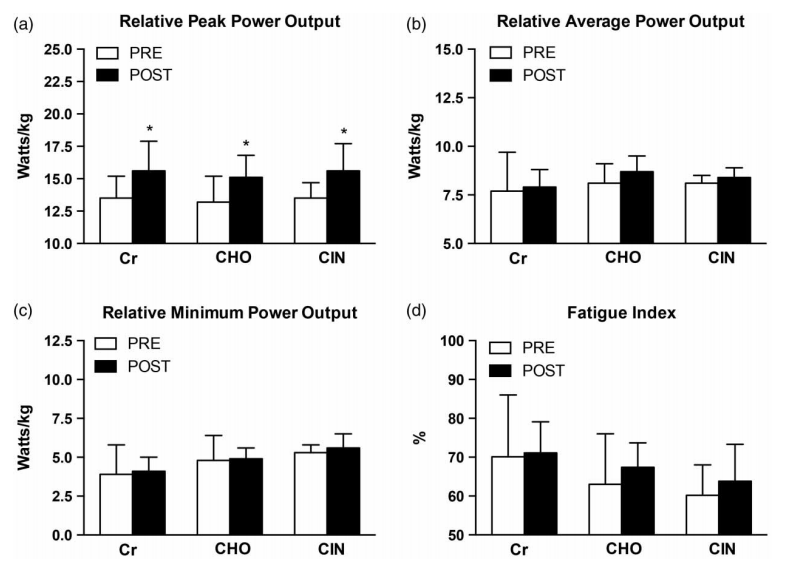 The latter obviously depends on muscle creatine uptake, not serum peak levels or AUC. Don’t be a fool, though: This does not mean that lower serum levels after ingestion were automatically better. After all, those lower levels of creatine in the blood may well be a mere result of an impaired / incomplete absorption in the gut. Confusing? Well, let’s summarize: By measuring the creatine level in the blood and the excretion of creatine in urine, Jäger et al. were able to refute the (ostensibly) logical assumption that higher serum creatine levels would indicate an improved efficacy. What they did not prove conclusively, however, is that the creatine levels in the muscle were in fact significantly higher (no biopsies) and, most importantly, that this makes a performance difference. The latter has after all been refuted in previous studies, such as Islam et al. (2015 | see red box and Figure 2). The hunt for the “best form” of creatine will thus probably go on, albeit with different experimental means, i.e. either the measurement of serum and urinary creatine as it was done in the study at hand or (even better) the direct assessment of muscle creatine stores and the actual performance benefits | Comment! Burke, Darren G., et al. “Effect of creatine and weight training on muscle creatine and performance in vegetarians.” Medicine and science in sports and exercise 35.11 (2003): 1946-1955. Jäger, Ralf, Martin Purpura and Roger C Harris. “Reduction of Plasma Creatine Concentrations as an Indicator of Improved Bioavailability.” Upublished data from privatt conversation (2016). Koszalka, Thomas R., and Carole L. Andrew. “Effect of insulin on the uptake of creatine-1-14C by skeletal muscle in normal and X-irradiated rats.” Experimental Biology and Medicine 139.4 (1972): 1265-1271. Pittas, G., et al. “Optimization of insulin-mediated creatine retention during creatine feeding in humans.” Journal of sports sciences 28.1 (2010): 67-74. Steenge, G. R., et al. “Stimulatory effect of insulin on creatine accumulation in human skeletal muscle.” American Journal of Physiology-Endocrinology And Metabolism 275.6 (1998): E974-E979. Taylor, Lem, et al. 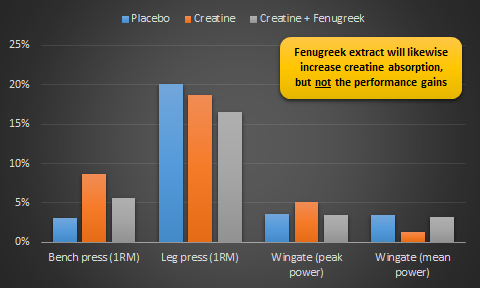 “Effects of combined creatine plus fenugreek extract vs. creatine plus carbohydrate supplementation on resistance training adaptations.” Journal of sports science & medicine 10.2 (2011): 254.